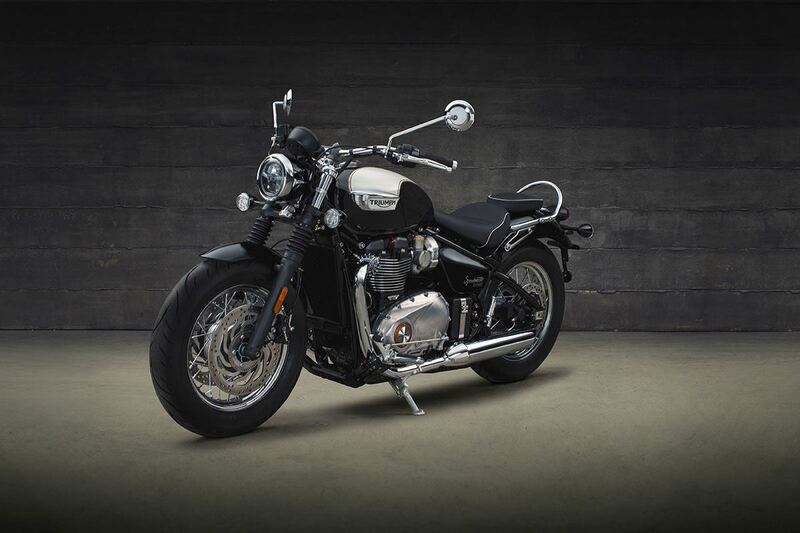 A new British classic custom, with Bonneville character, engineering and design DNA throughout, and a whole new level of laid back custom style. 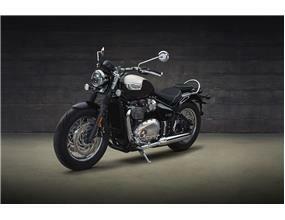 This is the new Triumph Bonneville Speedmaster. The latest addition to the Modern Classics family delivers all of the Bonneville”™s unique combination of modern capability and technology, with timeless classic style, and is the perfect starting point for you to create a Speedmaster tailor made to your riding style. 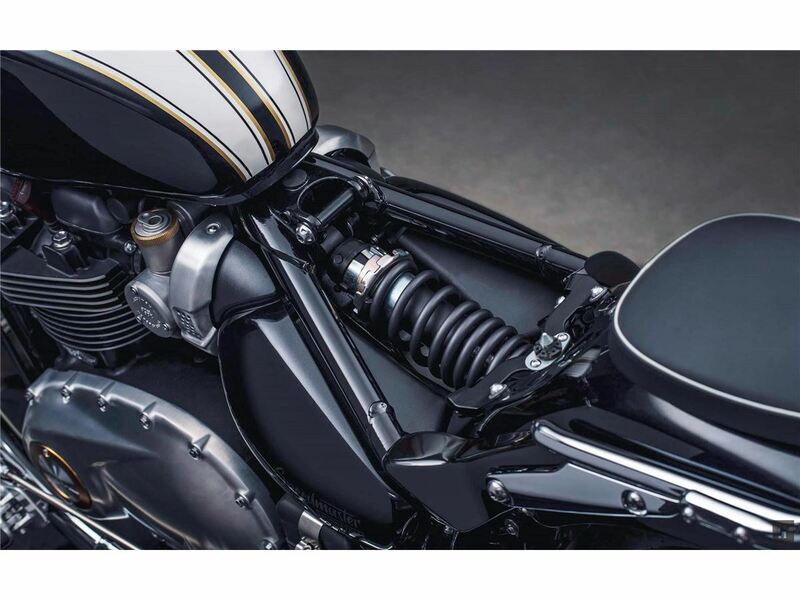 The classic detailing of the Bonneville Speedmaster can be found right from the front headlight all the way to the rear wheel. The Speedmaster brings a laid back riding style with swept back beach bar handlebars and forward footpegs which work together to give you a relaxed, comfortable riding position. The signature ”˜nacelle”™ detailing of iconic classic cruiser Triumphs of the 50s and 60s returns to the headlight casing, along with vintage style tank badges, spoked wheels and mudguard dresser rail all adding to the motorcycle”™s iconic appearance. 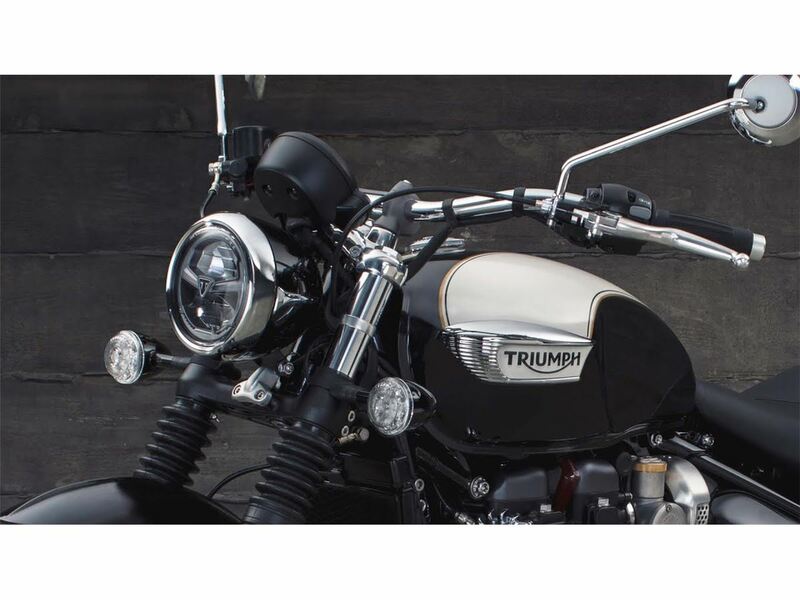 However, like every iconic Bonneville, the Speedmaster is just the beginning of the journey. 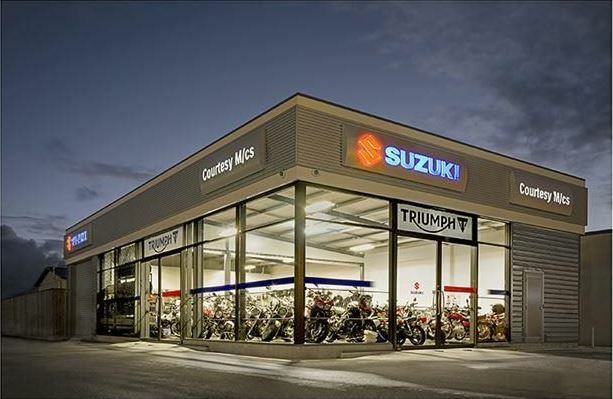 It”™s your personal touch that creates a true original ride and makes it yours. That”™s why there are over 130 accessories to choose from to customize your Bonneville Speedmaster. But to make it even easier for you to create a Speedmaster with even more touring capability, or with more stripped back Bobber attitude, there are two incredible inspiration builds available for the new Bonneville Speedmaster. ** Weekly payments are based on a total purchase price of $22,490.00 Nil Deposit, weekly payments of $120.54, over 260 weeks. 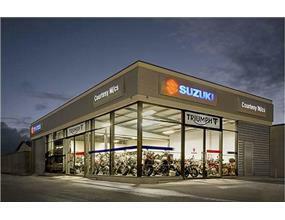 Includes a booking fee of $400.00 and Monthly service fee of $1.50. Interest rate is 12.95%, fixed for the term of the loan. Total repayments $31,330.00. Lending is subject to normal lending criteria. Full disclosure documents are available (free of charge) instore.